As we amass more electronic waste, the world needs a solution for dealing with discarded, old devices. That is no different in Egypt, where a social business called Dr. WEEE is working to create a system of e-waste recycling. 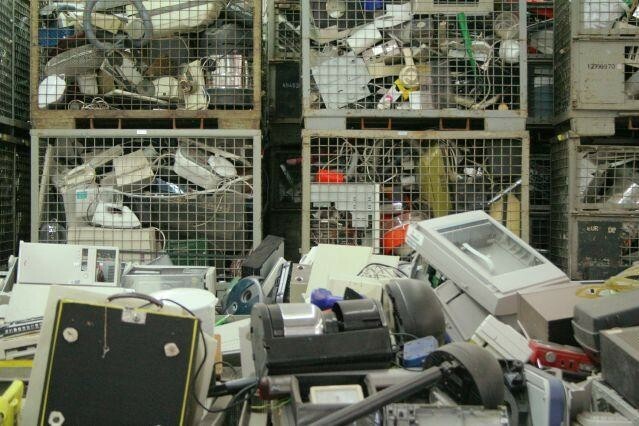 Dr. WEEE’s CEO, Essam Hashem, has long had e-waste recycling on his mind. Before founding the business in December 2016, Hashem ran a printer cartridge recycling company called SpearInk. But the economic crisis brought trouble, and Hashem struggled to find business inside of Egypt. Therefore he left, finding inspiration in Dubai where he realized there was huge potential in the e-waste refurbishment market. Egypt already has a culture of informal waste collection, thanks to Robabekia peddlers who gather, trade and sell unwanted housewares of all sorts. While these peddlers are known for their bartering skills in Cairo and other Egyptian governorates, Hashem said they do not always know the true value of the precious metals extracted from waste, and dispose of components that could otherwise be recycled. 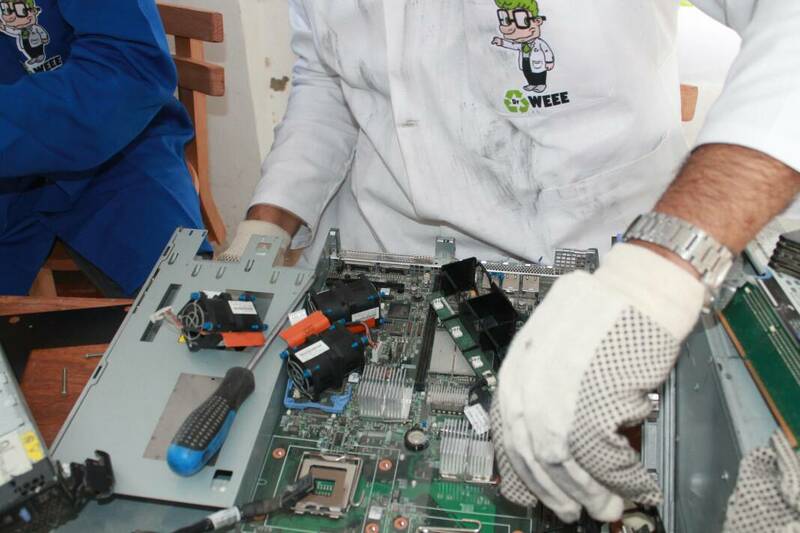 Dr. WEEE steps in when people are ready to retire their old electronics, and has made efforts to make e-waste recycling both fun and accessible. The business’ quirky name is a nod to the acronym for the industry, Waste Electrical and Electronic Equipment. 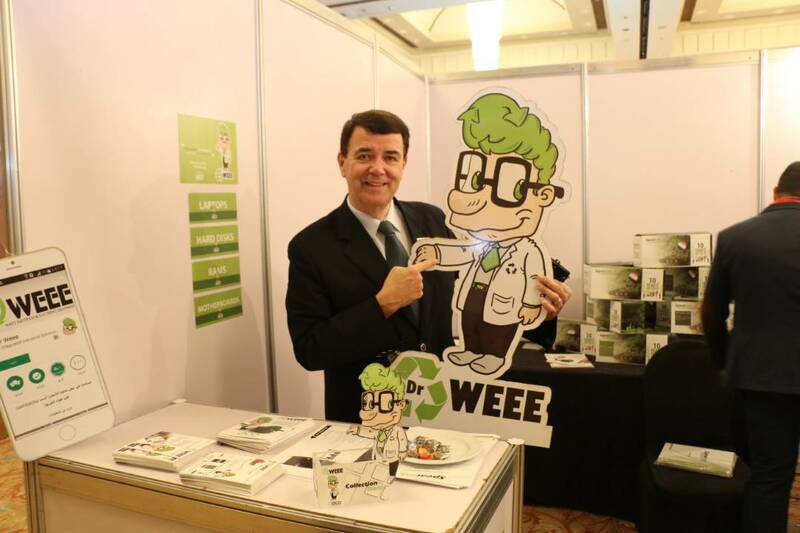 Dr. WEEE’s logo is an illustration of a mad scientist, complete with lab jacket and coiffed green hairdo. “I imagined Dr. WEEE as a guy who was mad about e-waste collection and would be able to do the very hard job of convincing people to get rid of their electronic waste,” said Hashem, who sketched the logo by hand. After Dr. WEEE had the right public persona, the next step was figuring out how to get their hands on the waste. It took a few models before Hashem and his team settled on the one Dr. WEEE uses today. 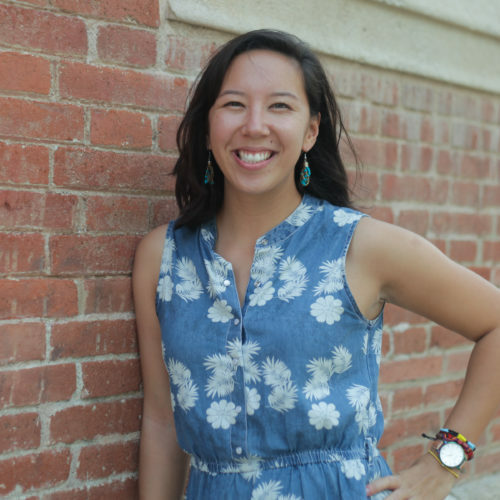 At first, they tried working with Robabekia peddlers to gather e-waste. Then, they attempted the voluntary donation of electronics but had an underwhelming response. They soon realized if they wanted to play, they had to pay. That is why they launched their smartphone app in March 2017. The app — which was downloaded more than 100 times in the first two months — encourages users to look in their closets and empty their drawers in search of old e-waste. Once they have their pile of technology, they select the corresponding items listed on the app. The bigger the electronic item, the more points you earn from the app. Those points are converted into cold hard cash when a Dr. WEEE driver comes to pick up the e-waste items. 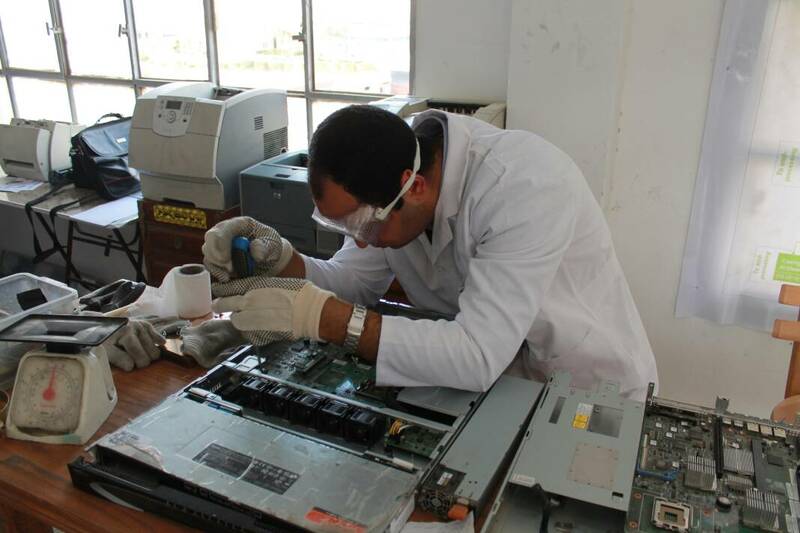 Once collected, the electronics are brought to Dr. WEEE’s small facility in Cairo where trained laborers dismantle, sort, and classify the e-waste. Materials that cannot be recycled are sent to a specialized landfill in Alexandria. Other materials are much more valuable, containing gold, silver, copper, platinum, and other valuable minerals. 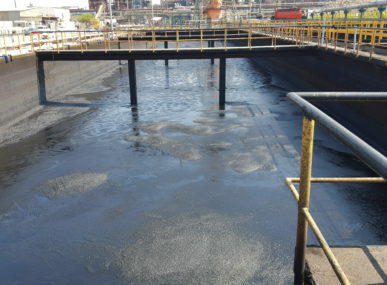 Once Dr. WEEE has collected 15 tons of this precious waste, it is exported to Turkey and Belgium for processing. 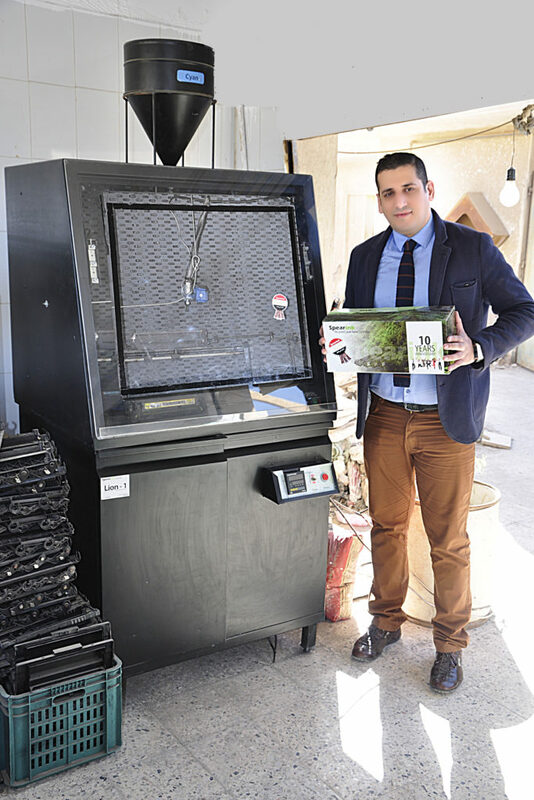 Hashem said Dr. WEEE’s long-term goal is to manage all e-waste processing at their facility. He anticipates being able to refine metals and produce new recycled products from e-waste within the next two to three years. In the meantime, the team is preparing a portable electronic waste shredder that can be transferred to any place for the secure destruction and recycling of computer hard drives. Technology like this would be a first for the MENA region, and allow Dr. WEEE to tap into recycling for the lucrative government and banking sectors. It would also expand Dr. WEEE’s impact, which is currently limited to the amount of e-waste they can collect from private citizens through the app, and two small corporations. Another way Dr. WEEE will grow its impact is by franchising its solution to countries around the world. 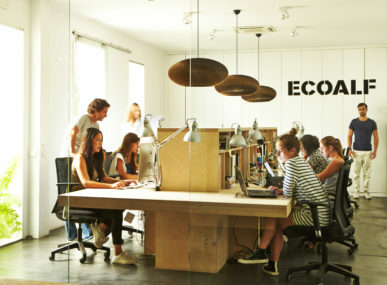 Earlier in 2017, the business found its first franchise partner in South Africa, the continent’s second largest producer of e-waste. The partner is a company called CMYK Industries, and it works to supply and help customers remanufacture and recycle their printer cartridges. Founder Patrick Naude first learned of Dr. WEEE when he visited Egypt on a business trip. There, he met with Hashem, where he found out about the impact of e-waste recycling and how he could incorporate it into his company. Now that a South African partner has been found, Hashem and his team are looking next to expand to Lebanon, Jordan, Saudi Arabia, and the United Arab Emirates. Dr. WEEE has three franchise levels, and all franchisees are trained to collect, dismantle, and classify their e-waste so they can sell or export it. In the end, their impact also becomes that of Dr. WEEE. Until then, Dr. WEEE and Hashem are setting their sights inward to tackle the Egyptian e-waste market and make their mad scientist a little less mad.